Modern life feels like it can race out of control and it’s hard to create positive change alone – but ‘doing good’ is as easy as picking up your phone. Anew Mission wants to make collaborative innovation fun. It’s a digital platform that makes it simple to crowdsource ideas for social impact – by creating a community of global problem solvers, bringing nonprofits together with their supporters and partners. The free app works by adding your ideas and voting on other contributions. The best ideas rise to the top and become feasible solutions. Anew will help enact the winning solution with the Mission partners. The platform is not just about raising funding and awareness, but also about using the power of the collective to generate ideas – expanding the creative capabilities. 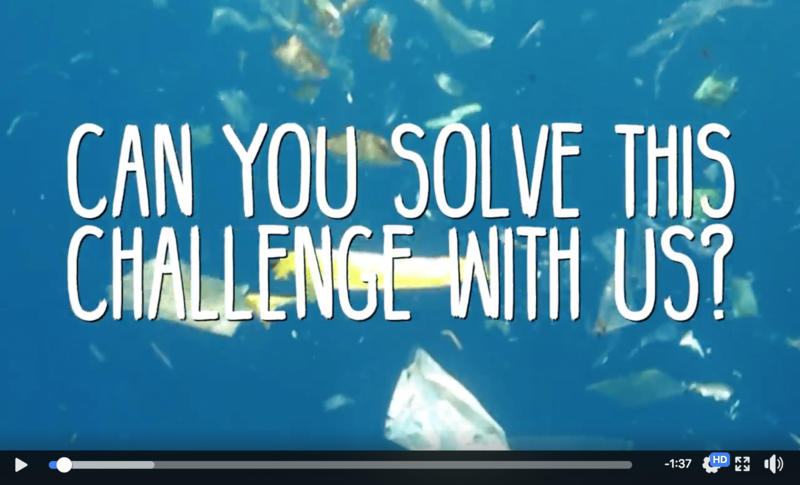 Their first mission is for the Plastic Pollution Coalition: How can consumers push supermarkets and grocery stores to stop using so much plastic? AtlasAction: Download the app and have a play and take action to stop plastic pollution. A social entrepreneur who has lived and worked in London, Shanghai, Buenos Aires, New York, Mexico, Lisbon and Paris. I've made artwork, apps and businesses. But most of all, I try to make people happy and improve the world. Tags: Activism, Apps, Awareness raising, Business, Campaigns, Communication, Community, Competition, Consumerism, Crowdsourcing, Environment, Information, Plastic waste, Platform, Waste.